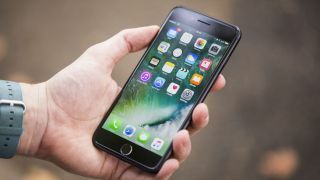 We know that the iPhone 8, iPhone 7S and iPhone 7S Plus are getting unveiled in a couple of weeks' time, and we thought we knew what the phones were going to be called too - but a couple of different rumors over the weekend suggests Apple is changing its mind about what monikers these handsets will ship with. First up, Netherlands site iCulture reckons the iPhone 8 is actually going to be called the iPhone X when it gets shown off to the world - X as in 10, as in the 10th anniversary of the iPhone. That's according to "a reliable source", and the iPhone 7S will become the iPhone 8, and the iPhone 7S Plus will become the iPhone 8 Plus. Not so, say casemakers whispering in the ear of 9to5Mac - they say the premium-level iPhone is actually going to be called the iPhone Edition. They do agree that the other two phones are likely to be labelled the iPhone 8 and the iPhone 8 Plus though. It seems quite late in the day for a rebranding exercise but we have heard the names iPhone X and iPhone Edition from way back in the early part of the rumor cycle, so it's not beyond the bounds of possibility that these titles are making a comeback with just a few days to go to the big reveal. What seems certain is that Apple will give minor upgrades to the iPhone 7 and iPhone 7 Plus, possibly adding wireless charging along the way, as well as launch a higher-end, bezel-free, all-screen premium iPhone that could set you back a hefty chunk of cash. The September 12 event at the new Steve Jobs Theater in the Apple Park Campus should be worth tuning in for and we'll of course bring you all the announcements as they're made right here. In the meantime, you can read up on everything we've heard so far about Apple's next flagship phones.